What would you do, and who would you be, if you knew you couldn’t fail? What difference would it make if you really were comfortable being you? What would it be like if you could easily connect with and inspire others? What would you do if you knew it didn’t matter what you do? What would it be like to be free of the past, and the expectations of the future? More EASE with your anxieties, frustrations and feelings of overwhelm. More EASE with what you create in the world, at work or at play. More EASE in your relationships with others. With NONE of this requiring you to ‘do’ or ‘be fixed’ or ‘to change’. 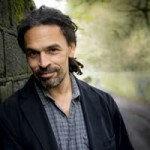 Just a deepening of your understanding of The 3 Principles (of yourself), and a direct experience of What It Means To Be YOU – all via transformative coaching conversations with me. And throughout the three months I’ll be committed to you and your aims. Offering you support, when you need it, via email or even via further coaching conversations. And because of this commitment, there is a limit to the number of coaching clients I can see at any one time. Ultimately, this is a space for you to see (and feel) your wisdom and insights and wellbeing for yourself. And it all this starts with an initial, commitment-free coaching conversation of 1 to 2 hours first. To see whether working together is going to be a fit. Ready to get started, then? Who Coaching (with Me) is NOT For! This is a journey of taking full responsibility, for letting go of the excuses, of visions of the past/future because – would you believe it! – that’s where ‘EASE’ and ‘SIMPLICITY’ is actually hiding, behind the excuses and the stories! Ready to get started, then? 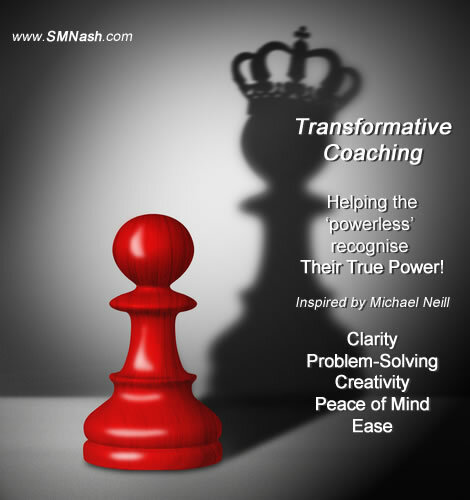 Transformative Coaching: Who Am I To Help You? Angry, confused, frustrated, ‘troubled’ and generally uncomfortable in my own skin. Yep, that was me before I came across the three principles understanding, via Michael Neill in October 2012. 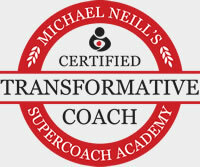 And I graduated from Michael’s 9-month coach training, Supercoach Academy, in 2014, to become a certified transformative coach. And, simply put: now I feel unstoppable. (More often than not.) I’m so much more at ease with myself, and life, and more able to connect with ALL other human beings.